The Strauss Herb Company finally received the green light to legally sell their products in Canada. The Canadian Company has been given a Natural Product Number (NPN) which allows the product to be sold in major grocery chains around the country. This eight digit number may not seem like much to the average person, but for this Natural Health Product Company, its everything. In order to be granted a NPN number on a product, a company has to submit an application to Health Canada. The product sometimes goes through an extensive review process that can take sometimes several years, depending on the information provided and needed. In the case of the Strauss Herb Company, this is exactly what happened. The Company submitted an application for their product "heartdrops" back in 2005 when new regulations for health products came into existence, and since then it has been an uphill battle. Only recently, the product was given the seal of approval by Health Canada. For many companies that are submitting a product in hopes of attaining approval from Health Canada, the application/review process can take many years. For this reason, many companies do not have the adequate funds to provide some of the information Health Canada is requesting. Often times, clinical trials and proof that the product has been rigorously research and tested, cannot be provided, as this costs a lot of money. It is by no surprise that many of the larger pharmaceutical companies, who have recently started selling Natural Health Products, because of the industry's growing popularity, can easily attain a product license in very little time, as they have the funds, and facilities to provide the studies when requested. In effect, many of these so called, "ma and pa companies", have little chance to have their products approved, and, as a result, a quality product often times does not make it to the market; thus, we often settle for low grade pharmaceutical products. In the case of the Strauss Herb Company, they had spent over $7 million dollars since 2005 on testing, legal fees and application fees. As added fuel to the fire, and as a direct result of not being able to compete in the market ( with other companies who had an NPN), the company's profits had drastically declined. 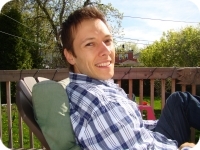 Brian Kettle, Vice President of the Company, believes that if Health Canada would have stayed with their original ruling of denying the product, the company would not have survived. If there is anything we can learn from this process, there is a need to review this system. The problem with these processes is that they tend to heavily favour companies that have lots of up-front capital. The process needs to integrate a method to filter through the smaller companies (whom often have a superior quality product), so that everyone has a chance at a fair review. The problem of having a universal method, it often times secludes the "little guys". Let us use our collective discernment, by integrating a system that offers a fair assessment for all. Since the Canadian Government is a publicly funded institution, it makes a whole lot of sense to integrate the public more into these processes. 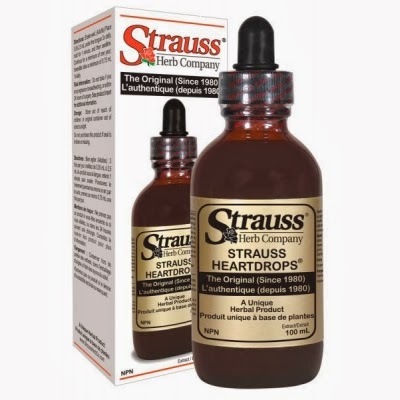 Strauss' heartdrops have endured a lot of criticism over the past, however, with the recent approval to grant the product a NPN, this gives hope to many companies whom are intending to license their products. Let us consider this a benchmark and victory for the Natural Health Products community and celebrate the hard work of many of our fellow supporters and comrades in this great community. Stay positive, and continue shining your light!